Meet our friendly staff at the Downtown Station located approximately 200 meters west of the Platzl. Purchase your train tour tickets at our Downtown Station which is located about 200 meters West of Kimberley’s pedestrian mall, known as the Platzl. A wide variety of snacks and beverages are available at our newly renovated Downtown Station. Enjoy a picnic on the deck while you wait for the arrival of the train. Enjoy browsing through the shopping area in the Station. A wide variety of one of a kind train souvenirs, t-shirts and hoodies, as well as arts and crafts produced by local artisans are available here. Wander through the Station and view the historical photos and mining displays. Be sure to sign our Guest Book. Check the schedule and board the train at the Downtown Station (just a few minutes from Kimberley?s pedestrian mall, the Platzl. 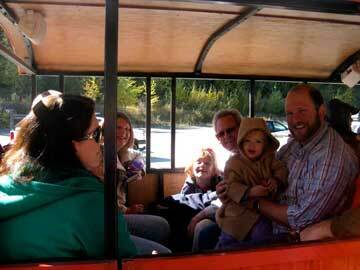 Hear about Kimberley and the history of the Sullivan Mine as you ride. Our 9 ton locomotive with its turbo charged diesel engine will take you through the beautiful Mark Creek Valley, over the Sever Bridge and past the display of various types of rail cars, such as man cars, that were utilized in the Sullivan Mine. You will ride on past the Train Shop and the Powerhouse until you cross the creek again and enter the tunnel, which is located in a spectacular rock outcropping. 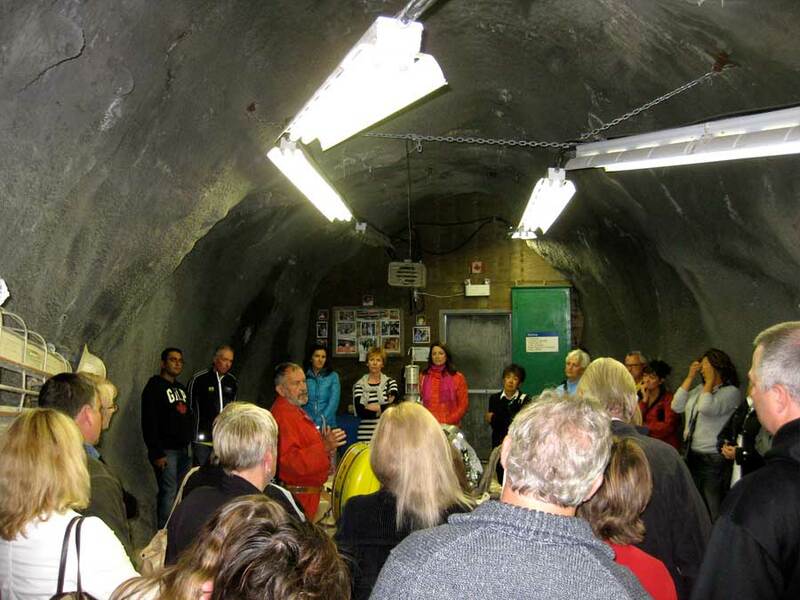 In the tunnel, you will leave the train and proceed to the Underground Interpretive Centre where you will enjoy mining displays and learn more about hard rock mining. Our Underground Miner? will demonstrate? air powered chain saws, slushers and a mucking machine that will give you a better awareness of the miner’s experience. You will board the train again and hear more about Kimberley’s rich mining history as you enjoy more of the Mark Creek Valley.? You will make a stop at the Sullivan Mine Powerhouse where our miner will take you for a guided tour. At the Powerhouse you will see the huge Pelton Wheel, and other large compressors that provided all of the compressed air and ventilation for the Sullivan Mine. A guided look at the Mine Model will give you a better understanding of the vastness of the Sullivan Mine. As we board the train again, you will be able to enjoy the scenery and perhaps even catch a glimpse of local wildlife as you continue to learn about Kimberley and area on the return trip.You can feel completely confident as you enjoy the ride knowing that our air braking system is one of the safest and most modern in Canada. Mining Tours leave the Downtown Station at 11:00 a.m., 1:00 p.m. and 3:00 p.m.
On Saturdays, Sundays and holiday Mondays at 10:00 a.m., KUMR will be running a Mining Express Train Ride? up the Mark Creek Valley, through the tunnel and around the loop overlooking the Mark Creek Valley. Children just $5, everyone else, $10 (Kids three and under ride for free). This trip is for those who just want to ride the train and will not include a stop underground. We will stop at the Powerhouse Station to allow youngsters to get up into the locomotive and blow the horn and get great photos. A tour of the Powerhouse is now a part of each train ride. 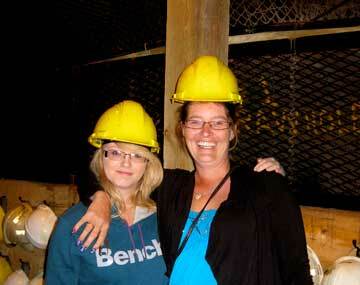 A short walk takes you there and our tour guide will help you explore a fascinating part of hard rock mining history. The Powerhouse was an essential part of the Sullivan Mining Operation as compressed air is safe, clean, and simple to use. It houses D.C. generators which supplied direct power to the electric trains that were used to transport men and equipment to and from the various destinations underground and on the surface. It also houses several different types of huge generators powered by electricity, which produced compressed air. One huge Rand compressor was driven by a Pelton Wheel that was powered by the flow of water from the Mark Creek. 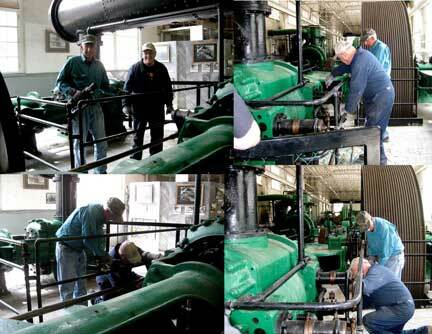 Our volunteers now have this huge 120 year old compressor running, driven by electricity now instead of water power. It is wonderful to see it in operation. before pushing the button to set the Pelton Wheel Compressor in motion. Compressed air was piped underground from the Powerhouse and used to power rock drills, fans and many other types of mining equipment. The escaped air supplemented ventilation in the mine. Large fans pushed or pulled air into and through the mine to clear dust and gasses created by the mining activities. An overhead crane, which was built and installed in 1929, travels on tracks that run the length of the Powerhouse to facilitate the installation and/or the removal of machinery. It is powered by three electric motors: one for hoisting and lowering, one for east-west travel, and one for north-south travel. Almost all of these machines, which date back to 1912 and the 1920’s were operable until the mine closed and are a fascinating piece of mine history. A model of the Sullivan Mine, which is housed in the Powerhouse, gives you a better sense of the huge scale of the mine and of how it was laid out. Visit the Orpheum Theatre to learn about the Kimberley’s Sullivan Mine: the most successful Lead and Zinc mine in the world. The original Orpheum Theatre was located on Spokane street in Kimberley. It was opened in March, 1940 as a movie theatre. 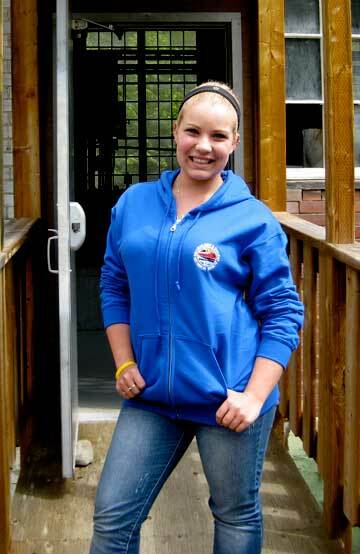 At its opening it was the most modern in the East Kootenay. It had a full sound system and seated 1000 patrons. The theatre was eventually demolished and was replaced by the bank of Montreal. The Marquee was saved and can be seen today outside the Civic Centre on Rotary Drive. At the downtown station you will find the new Orpheum Theatre, a nostalgic representation of the original theatre. Browse through the building and see original maps and pictures of the Mine. 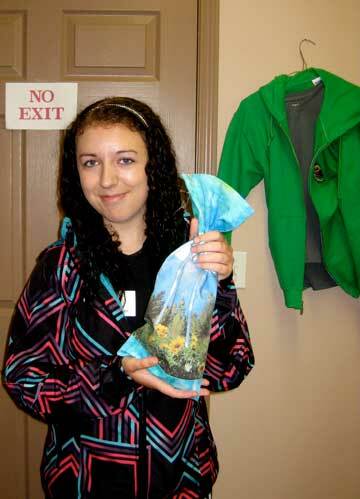 For the budding Geologist or the Geologist want-to-be, see ore samples excavated from the Sullivan Mine. See original Miner’s hats and boots along with other mining artifacts. Take some time and watch movies about the Sullivan Mine, other Cominco Mining projects and land reclamation programs in and around Kimberley. Experience schooling in the early 1900’s by stepping into the North Star School House which was built in 1902 on the North Star Mountain to serve the children of mining families in the area. Miss C. Hall was the first teacher. There were eleven children enrolled in school that first year. Miss Hall experienced some difficulties when she had a disagreement with the mother of eight of her students who was so upset that she withdrew her children from the school. However, school continued on for the rest of the term. The eight pupils returned to school the following term when Miss Cartwright took over the teaching duties. The school closed down in 1903 when the North Star Mine ran out of ore and many of the mining families left the area. The school house was moved to it’s present location in the spring of 1999. The Kimberley Alpine Resort is now located on North Star Mountain. 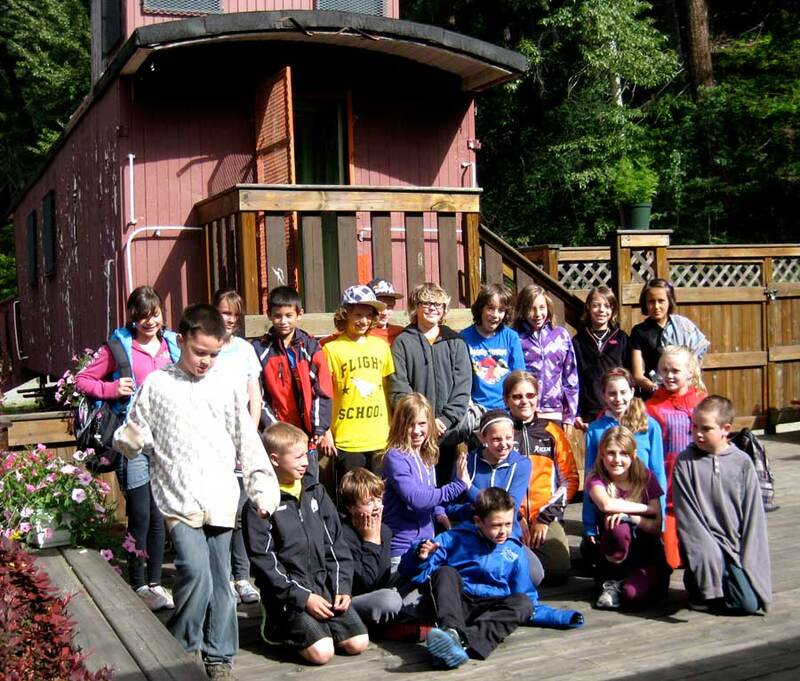 Spend some time investigating the Kimberley Caboose. Step into the Kimberley Caboose, CPR serial # 4367788, and re-visit an integral part of railway history. The interior features many of the original furnishings, such as the pot-bellied stove with its guardrail to keep the pots and pans from sliding off, as well as historical photos of Kimberley’s rail history. The Caboose, known in railroad jargon as the crumb box, was the hub of every freight train: the office and eating and sleeping quarters for the crew. The Kimberley Caboose was built in 1922, one of the last wooden cabooses made. Later cabooses were made of steel. It was lovingly restored by the Kimberley Caboose Restoration Committee. 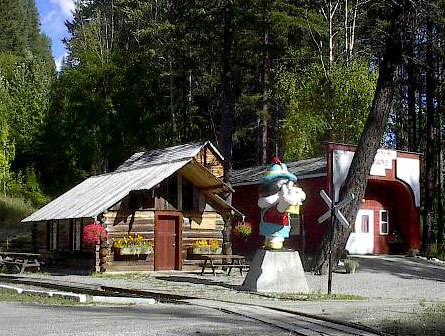 Chuck Kinride bought the caboose from the CPR in Cranbrook in 1976 and used it as an office for the restaurant at the Station which was located in downtown Kimberley. The Chamber of Commerce offices were located in the Station as well. Just over twenty years later, in 1997, the Caboose was very carefully moved to its present location at the Downtown Station. If you like rocks, geology and history, then the Sullivan Core Shack is for you. 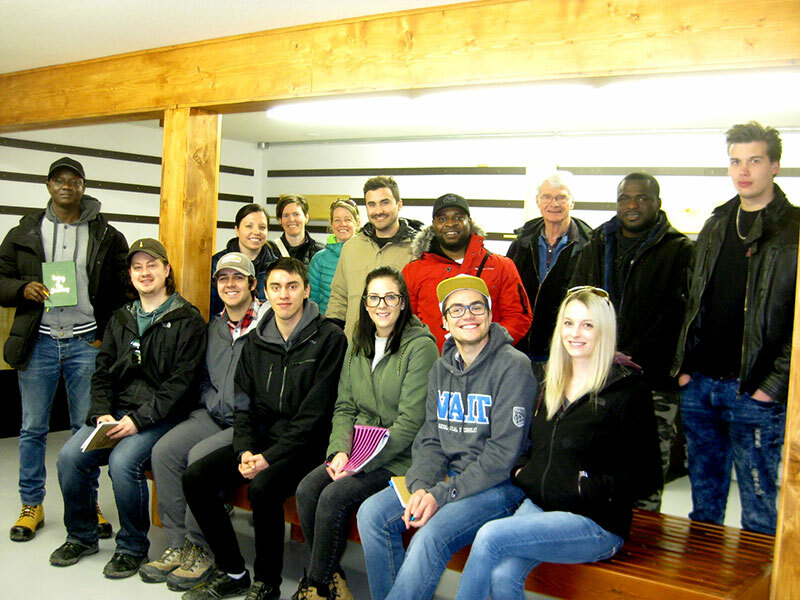 A group of NAIT students who were our first visitors to the Core Shack with geologist Paul Ransom who conducted the tour. Housed in the basement of the Station is a museum level display of ore and rock specimens as a well as drill core from the Sullivan Mine and surrounding areas. Drawings illustrating key elements of regional and mine geology are included in the display. 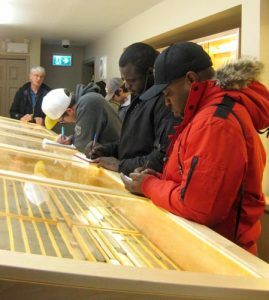 Most of the specimens and core have been donated from exploration geologist Paul Ransom’s personal collection that has been put on temporary display many times over the last 16 years for students, tourist and industry groups. Most of the ore specimens have been polished to enhance the mineral and textural details. KUMR board members visiting the shack for the first time. The Core Shack is an archive of specimens of one of the greatest Lead-Zinc-(Iron)-Silver deposits on earth. It is organized to be of interest to students of all levels and of viewing interest to the layman or professional. 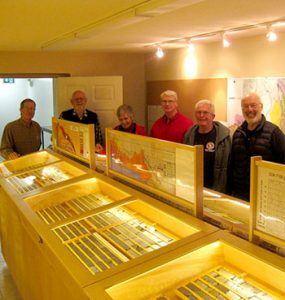 The display covers aspects of the sedimentary, igneous and metamorphic rocks of the region as well as five historic mines of note: the North Star and Stemwinder Mines at Kimberley, the St. Eugene Mine at Moyie, the Kootenay King at Fort Steele and the Estella at Wasa. The Sullivan Core Shack preserves some of the great geological history of the area.